Designed to keep your faith and fashion going along, this beautifully crafted pendant features the Arabic word "Allah" in fluid, modern calligraphy. Genuine diamonds are set set with a total of 1 carat weight and dealing with SI2-I1 clarity and H-I color. 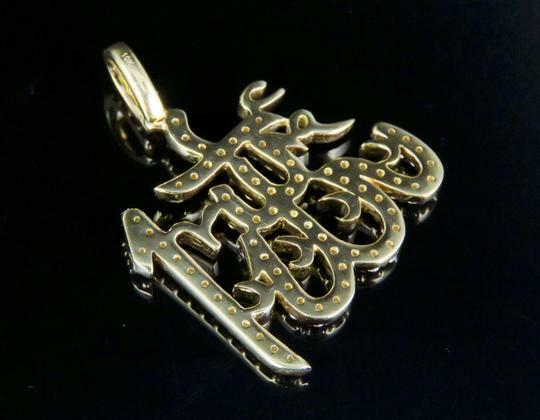 Pendant measures 1.25" including the bail and weighs approx.4.8 grams. Strong in faith, abiding in love, this meaningful pendant expresses your inner beliefs. 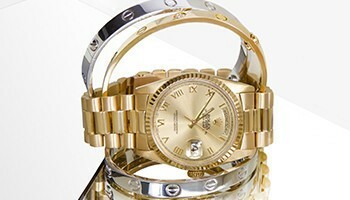 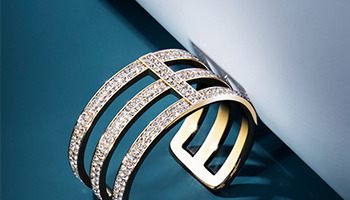 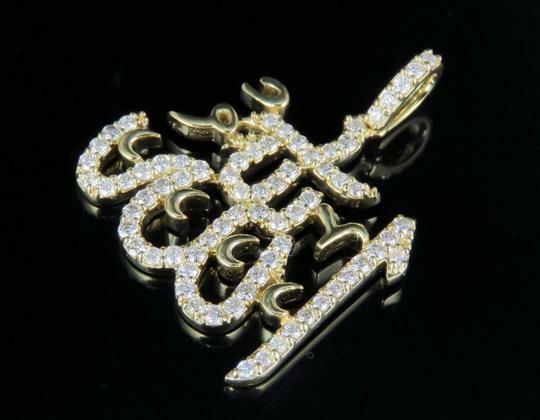 All diamonds are 100% genuine. 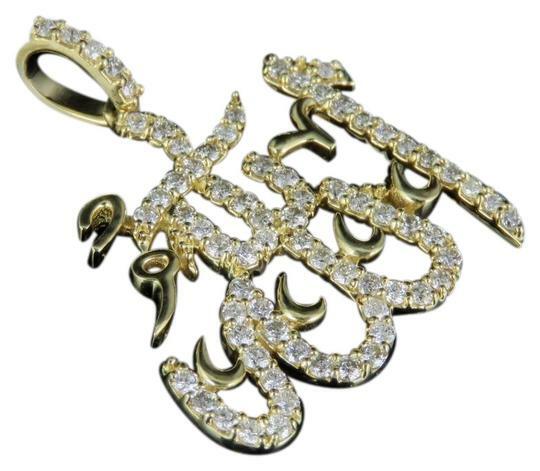 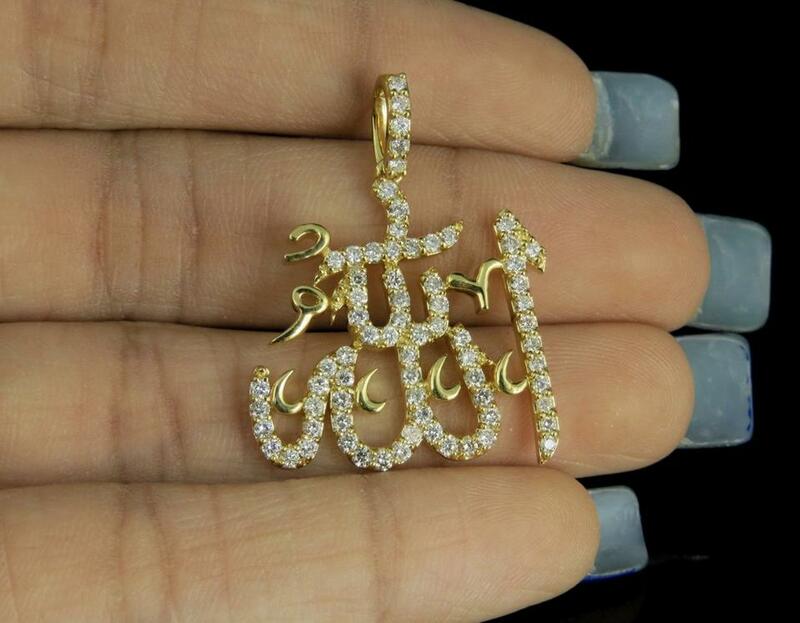 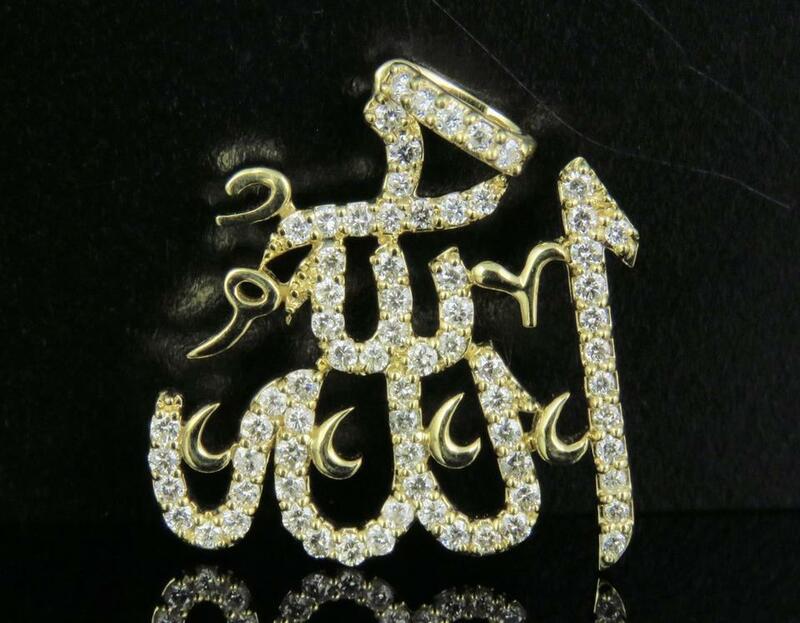 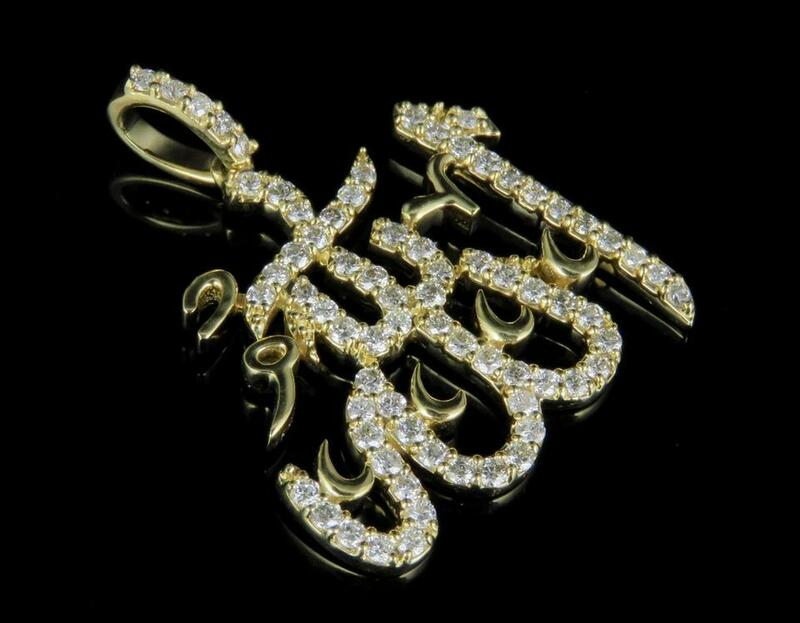 10K Yellow Gold Real Diamond Arabic Allah Pendant 1 CT 1.25"